Home Cover Story Chasing after five stars? See what our readers had to say about increasing patient satisfaction scores in our August 2016 poll. IN 2014, THE HOSPITALISTS at Chicago’s Northwestern Memorial Hospital implemented the latest in a string of interventions, all designed to promote patient-centered care and improve patient satisfaction. Except that it didn’t. According to patient interviews and surveys, both those done in-house as well as HCAHPS surveys completed post-discharge, patients in units with bedside rounds were no more likely to recommend the hospital or give it a top-box overall rating than the patients in a control group. “We expected a positive result, which is why we studied this so rigorously,” says lead author Kevin J. O’Leary, MD, MS, chief of Northwestern Memorial’s hospital medicine division. “But no matter how we analyzed it, we just didn’t see much of an impact on patients.” The hospitalists have since gone back to a conference room to hold their interdisciplinary rounds. The bedside rounds abandoned at Northwestern Memorial are a reminder of what hospitalists across the country have learned over the past several years: Improving patient satisfaction is hard to do. While hospitals scramble to remedy the parking problems and cold food that damage patient experience, clinicians are trying to re-tool something more amorphous: how they interact and communicate. Some doctors grumble that all the training and role-playing they’re going through to improve their communication have nothing to do with quality of care. But proponents argue that better patient satisfaction is not only in patients’ best interests, but in the best interest of physicians as well. Since satisfaction scores were first factored into Medicare reimbursement in 2012, some physicians have complained that the whole push behind patient satisfaction is just to “keep patients happy.” They argue that low scores may reflect physicians’ refusal to prescribe inappropriate medications or their raising uncomfortable topics like smoking or substance abuse. Some doctors also rail against having nurses or clerical staff interview hospitalized patients about physicians’ performance, saying such practices can confuse patients. And they balk at using scripts or checklists during patient encounters, worried they’ll come across as more “Stepford” than genuine. But some data suggest that doctors with better patient satisfaction scores also report higher professional satisfaction. 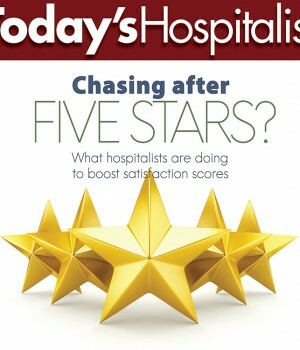 And a growing body of evidence supports the use of satisfaction scores as a quality indicator. A study published in the June issue of JAMA Internal Medicine, for instance, found that higher CMS star ratings for hospitals were associated with fewer readmissions and lower mortality. Another study published in March in the Journal of Patient Experience linked higher star ratings to lower rates of some in-hospital complications. 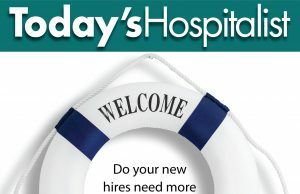 As for concerns about using scripts or communication checklists, “I think scripting gives the impression that it’s robotic and uncaring, and it certainly could be,” says Jeffrey Petry, MD, MMM, system vice president and chief hospitalist officer at Premier Health in Dayton, Ohio, who oversees 90 doctors in four programs across five hospitals. Despite those potential downsides, Premier Health hospitalists are trained to use the AIDET script (a communication framework that stands for Acknowledge, Introduce, Duration, Explanation and Thank you) in each patient encounter. As Dr. Petry sees it, relying on that format is not all that different from another standardized approach used by physicians everywhere: the history and physical. This spring, St. Tammany Parish Hospital in Covington, La., received an outstanding patient experience award from HealthGrades, given to those hospitals that garnered the 15% highest overall patient experience scores. That’s no accident, says Patrick Torcson, MD, MMM, the medical director of the hospital medicine department, citing the hospital’s top-down commitment to patient experience. Dr. Torcson also notes that it’s much easier to produce satisfied patients in community hospitals than in academic centers or urban safety net hospitals. He adds that working in Louisiana gives community hospitals there another edge. Another fact of life in terms of medical care in Louisiana: Patients typically bring their entire families with them when they’re hospitalized. Like Dr. Petry’s group, Dr. Torcson and his colleagues rely on AIDET to frame their communication with patients, learning to acknowledge and introduce themselves to everyone in the room. And to compensate for the fact that hospitalists are at a disadvantage with satisfaction scores because they don’t have long-term relationships with patients, Dr. Torcson says the hospitalists stress during the “Introduce” portion of each encounter their relationship with the physician who referred the patient. “We’re very scrupulous about making sure we know who the patient’s PCP or specialist is who sent them to the hospital,” Dr. Torcson points out. “We drive all our introduction around that relationship, with ‘I’m here as his or her proxy while you’re in our hospital.’ ” He adds that the AIDET process is one that his group has scripted, role-played and discussed at every monthly meeting. At Premier Health in Ohio, Dr. Petry notes that his group has coupled peer coaching with its use of AIDET as a communication tool. The program brought in physicians from the Studer Group, the company that created AIDET, to implement a “train-the-trainer” program. Dr. Petry, along with the site program directors and associate directors, then shadowed hospitalists in their patient encounters and offered feedback and advice. “Many hospitals now understand that having strong communication with patients and families is the foundation of a good patient experience,” Dr. Dorrah says. She and her fellow hospitalists have also focused on key strategies to boost patient satisfaction and enhance communication. One is effectively incorporating the electronic health record into patient encounters. The hospitalists have also hired a team nurse who provides an additional layer of communication for patients. on day 1 or 2 of their hospitalization, giving them her business card and telling them to call her with any questions or concerns after discharge. “The team nurse provides continuity for patients by acting as the group’s point person as doctors rotate off service. The group has brought in a national expert to teach patient-interview skills to small groups of clinicians, and they have done their own internal communications training. But the results haven’t been overwhelming. The hospitalist group’s own patient experience committee is now launching the group-wide use of a scripted discharge checklist. “We filmed two of the doctors using the checklist in a sim lab, and we’re going to share that video with the rest of the group,” says Dr. Lovins. The checklist helps physicians lead patients through a discussion of patients’ diagnosis, post-discharge plan and new medications, with teach-back used in each section. This summer, the patient experience committee is launching another project: having a volunteer go to the floors and record patients on an iPad, asking them how they feel about their hospital experience and their communication with their provider. While hospitalist leaders with Premier Health have coached their colleagues on better AIDET performance, Northwestern Memorial in Chicago has hired a dozen or so communication coaches, says Dr. O’Leary. The coaches began by shadowing a variety of professionals from technicians and environmental services to clinicians. They have since moved into communication coaching, focusing on nurses and techs new to the units. In Albuquerque, the hospitalists who work on the Adult Inpatient Medicine Services at Presbyterian Hospital have also started receiving feedback from point-of-care surveys and coaching, and they plan to continue that process indefinitely. To provide what Dr. Yu calls “individual, actionable data,” his group hired a secretary a year ago to survey patients on the floor, using a questionnaire developed by Utah’s Intermountain Healthcare and vetted by the CMS. Each coach shadows the physician and then offers tips such as sit down, or speak more slowly or don’t use so many technical terms. The twist in the Presbyterian program: The coaches are all hospitalists. 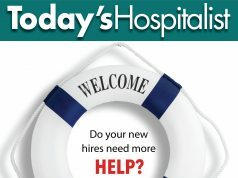 Phyllis Maguire is Executive Editor of Today’s Hospitalist. HOW CAN HOSPITALIST programs assess individual doctors’ communication skills in a way that’s relevant? According to Kevin J. O’Leary, MD, MS, chief of the hospital medicine division of Chicago’s Northwestern Memorial Hospital, his group has decided against attributing HCAHPS scores—good or bad— to individual discharging physicians. For the 90 hospitalists within Ohio’s Premier Health, who cover five separate hospitals, their program does look at aggregate scores quarter by quarter. But it also breaks HCAHPS data down to the individual level by discharging doctor. That’s according to Jeffrey Petry, MD, MMM, system vice president and chief hospitalist officer. Attributing scores to individual discharging physicians, Dr. Petry admits, is far from perfect. “Of course, it’s not pure because there are multiple consultants involved in the care of the patient.” And the HCAHPS questions related to doctor communication are framed as plurals: How often did doctors explain things in a way you could understand? Premier Health’s quality bonuses for physicians are in part tied to patient satisfaction, but they are given as part of a group bonus based on aggregate scores. Dr. Petry says he supports using that incentive. 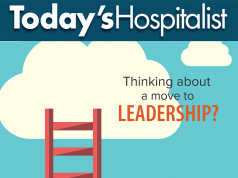 Thinking about a move to leadership?